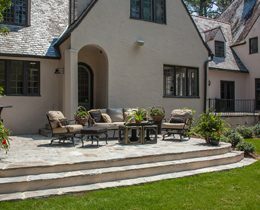 Huntley Design Build has masterfully crafted custom homes from the ground up for over 16 years. All our homes perfectly reflect the unique personality and lifestyle of its owner and are true masterpieces of originality, functionality, sustainability and efficiency. These qualities are exemplified in the thoughtfully designed floor plans, stunning exterior elements, creative outdoor living environments, breathtaking staircases, gourmet kitchens and luxurious master suites found in a Huntley Design Build home. Building a new home, planning a major renovation, or designing an addition is one of the single largest investments a family will ever make. Choosing the right builder or remodeler for the job is critical to the success of the project. Huntley Design Build holds a keen knowledge of the latest building technologies, materials and “best practices” for incorporating them in a home, while their construction processes ensure optimum comfort, sustainability and efficiency. Luxury homes are not eternal in their design. They require updates to accommodate changing trends and modern technology. 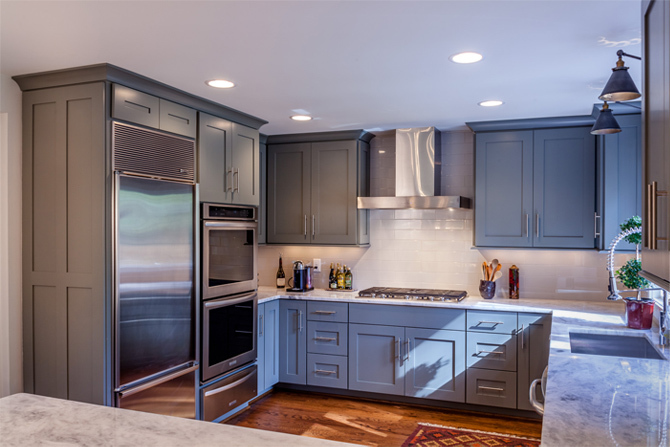 Armed with years of experience and a keen awareness of the latest trends, Huntley Design Build can renovate any home to add that additional layer of grandeur. 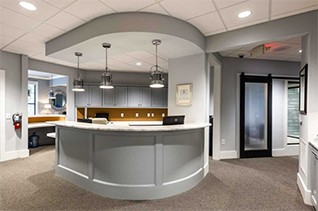 Huntley Design Build holds a keen knowledge of the latest building technologies, materials and “best practices” for incorporating them in a home, while our team’s construction processes ensure optimum comfort, sustainability and efficiency. 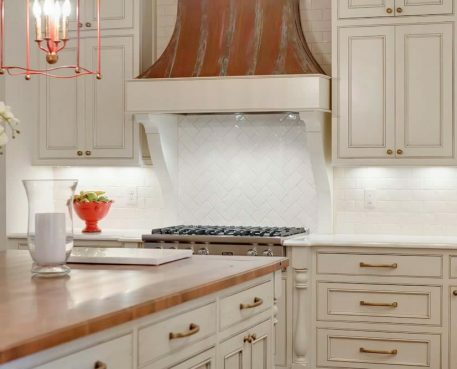 A kitchen remodel can update your look with European-inspired cabinetry, stone countertops and tile backsplash, while modern high-end appliances bring new functionality. A master suite addition can complete your home with a wet bar, a stone-faced fireplace and a custom designed closet with natural light. Please export our residential portfolio for a first-hand look at what Huntley Design Build can create for you in the field of renovations and additions. 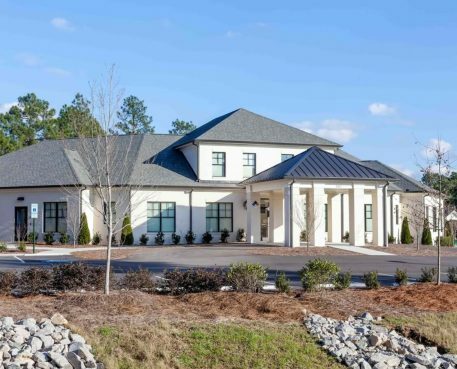 Looking to open a new business in Pinehurst or relocate to the Sandhills of North Carolina? Huntley Design Build will help make the entire design + build process as worry free and as enjoyable as possible. Our experienced and friendly staff will help acquire all the necessary permits and guide you through the construction to ensure aggressive deadlines are met and the end product exceeds your expectations. This cottage-style home boasts prime location in Ballybunion Park, an exclusive section of Pinehurst National No. 9. Its covered front porch elevation is wonderfully southern (it practically begs for a set of rocking chairs and an array of ferns and colorful plants!) but the true distinction is in the attention to detail from the carriage-style garage doors and lanterns, board and batten, gracious columns, and decorative trim work. The other half of the first floor introduces a lovely owner’s suite, guest room, and laundry room complete with white quartz countertops. 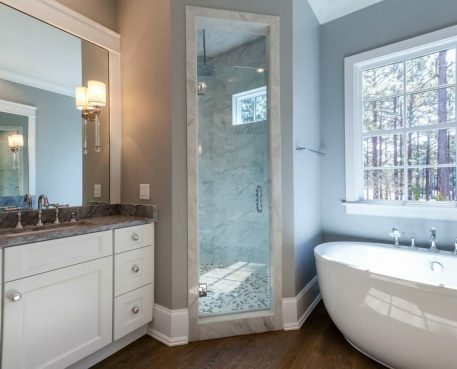 The luxurious master bath features stunning floor tiles (white with unique gray veining), hexagon-shaped tiles patterned in the shower, a trendy “X” design on the vanity doors, and furniture valances for that additional element of elegance. 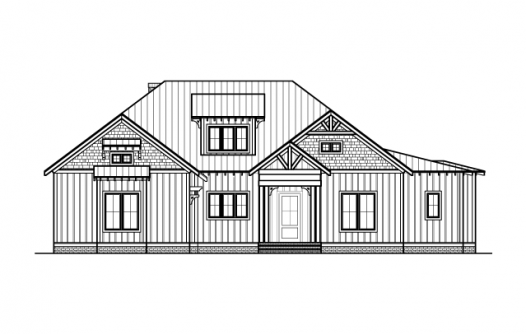 This 3,369 square foot, thoughtfully designed open floor plan home by Huntley Design Build features 3 bedrooms and 3 bathrooms in the Eastlake Community. Gourmet kitchen with island, coffee bar, walk in pantry and breakfast nook. A spacious dining room with coffered ceiling that opens into a large family room. The second floor includes a rec room and a loft area, and ample access to additional attic storage. There is a large 2 car garage, covered porch with fireplace and a patio for entertaining. 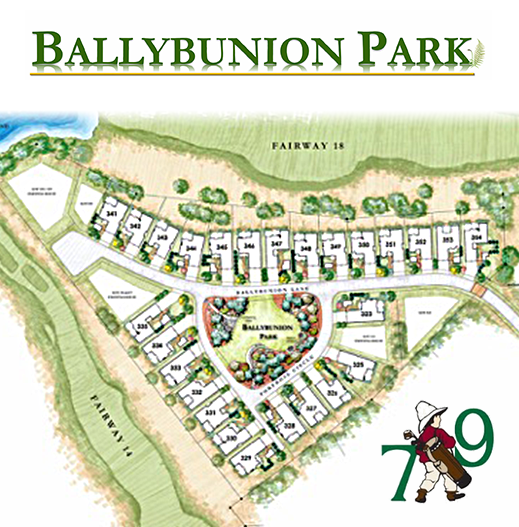 Ballybunion Park is a collection of 26 home sites averaging 1/5th acre with custom-built homes on each lot and a community park in the center. The neighborhood is located between the 14th and 18th holes of the course that opened in 1989 and has convenient access to the clubhouse, practice range and first and 10th tees of the golf course. 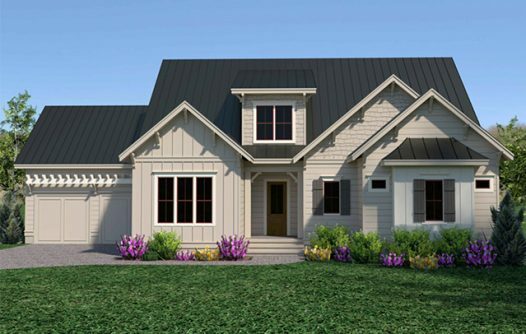 Individual homes will range from 2,043 to about 3,593 square feet in six different single and two story floor plans, and each will be customizable by the buyer. These lots feature great views of the Jack Nicklaus designed golf course with lots that overlook #14 and #18 fairways, and Laggan Pond. In addition, the the practice range, clubhouse, restaurant, bar, tennis and pool are only a short walk away. POA manages all exterior landscape maintenance…no yard work! Located in the Eastlake Community, this 3 bedroom, 3. 5 bath, 2-car garage home offers 2,838 square feet 0f premium finishes and features. This open floor plan boasts a huge owner’s suite with lots of light accessible from both the main living area and the convenient owner’s entry/mudroom adjacent to the laundry. The gourmet kitchen offers a vegetable sink, wine cooler, range, dishwasher and a walk in pantry. The family room has a fireplace with built-ins and a pitched ceiling for great views. There is additional space for entertaining or to use as a study in the loft on the second floor which overlooks the family room. Easy attic access offers additional storage. 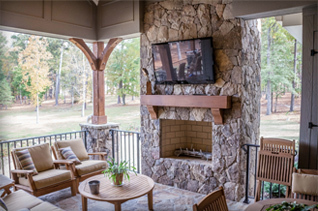 The covered porch also has a fireplace to extend the outdoor enjoyment throughout the seasons.